HOUSTON, Texas — Responding to the Ebola crisis that gripped Dallas, Governor Rick Perry announced on Tuesday the creation of a containment facility in North Texas to treat individuals with the deadly virus. Perry’s hope is that such a facility will protect health care workers and prevent Ebola from spreading to the greater public. A designated space at The University of Texas Medical Branch at Galveston will additionally be utilized as a containment facility. The facility in North Texas will be operated by health care providers from the UT Southwestern Medical Center, the Methodist Hospital System and the Parkland Hospital System. 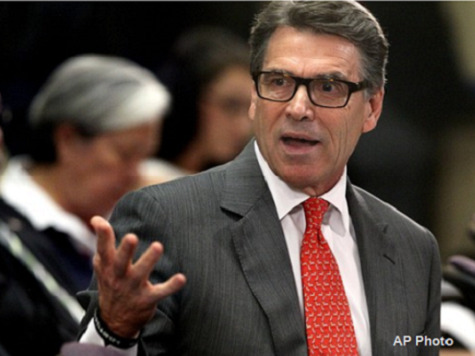 Perry’s announcement comes after two nurses who worked at Dallas’ Texas Presbyterian Hospital contracted Ebola. Thomas Eric Duncan, the Liberian man who brought the deadly disease into the U.S., was cared for at Texas Presbyterian. He ultimately died as a result of his diagnosis on October 8.